I can't believe I'm reading The Week. This issue summarized The Nation, The Christian Science Monitor, and Forbes.com on the Stuxnet worm, which has invaded the Iranian nuclear infrastructure. Nation: "Requires the expertise of a nation state. US? Israel?" CSM: "First true cyberweapon. Designed to cross from the digital realm to the physical world and destroy something." There was an interview a couple of weeks ago on NPR. Two computer experts said that it would take the expertise of computer, nuclear, and industrial engineers to do this, as well as logistical support. They got a little cryptic, saying they believed that Stuxnet was a message from unknown parties to someone, not necessarily Iran, which could be understood only by sender and recipient. 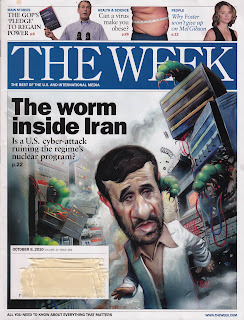 Barbara suggested the message was between Iranian factions, or that the worm is part of a protection racket. Sam, our family tech guy, believes it's five guys in Russia, doing it for kicks. 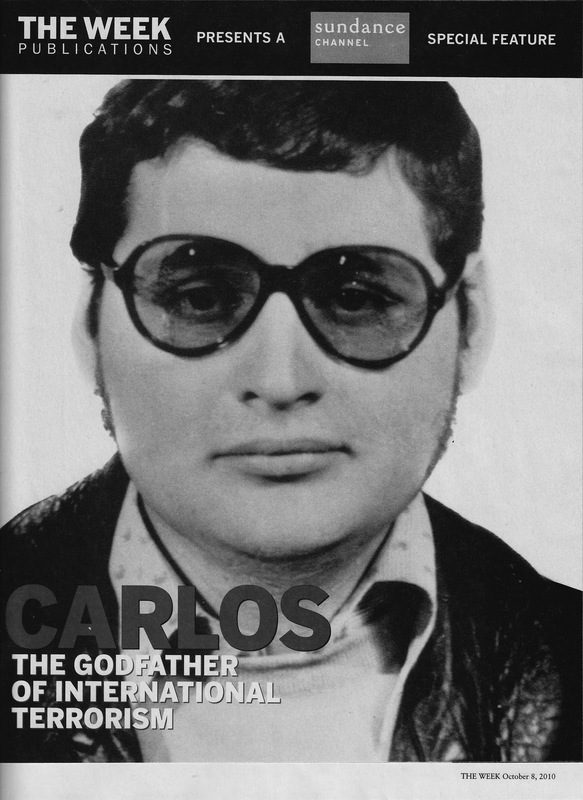 The same issue of the week holds a dozen-page, pull-out ad for a television mini-series about Carlos "The Jackal." 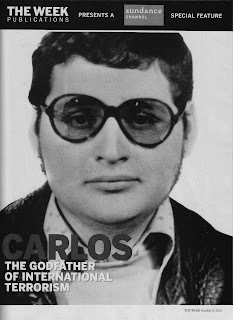 Terror is the weapon of the disenfranchised, and Carlos had a pretty good run as the outsiders' military-industrial complex. To further add to the disquiet, the magazine notes a hedge fund, designed to profit from an Israeli-Iranian war. The Atlantic, reportedly, gives an Israeli attack by summer a better than fifty-fifty chance. There was an obit for Roald Dahl, too.